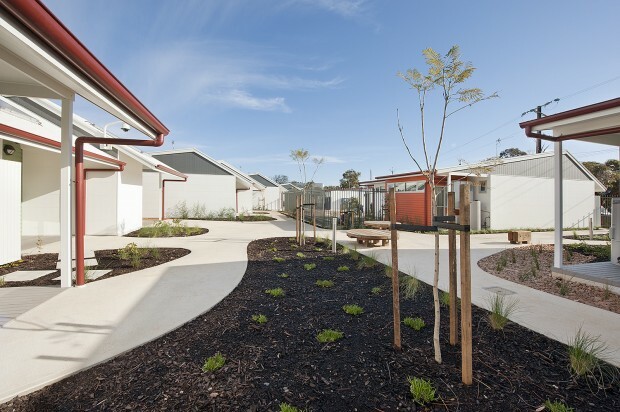 The development’s site and building design, landscaping, car parks, and common/staffing facility, sit well in the surrounding neighbourhood, with an easy, integrated sense of private and public places for tenants and workers. 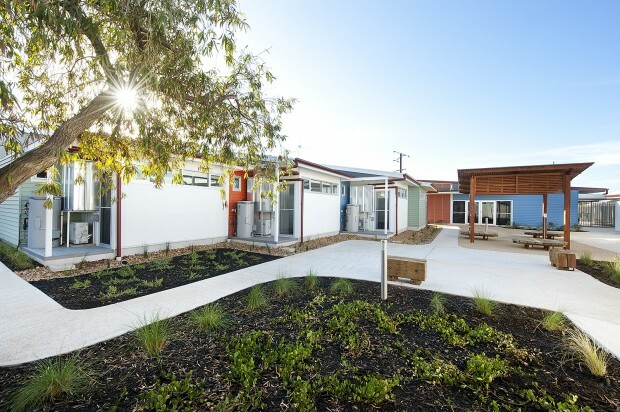 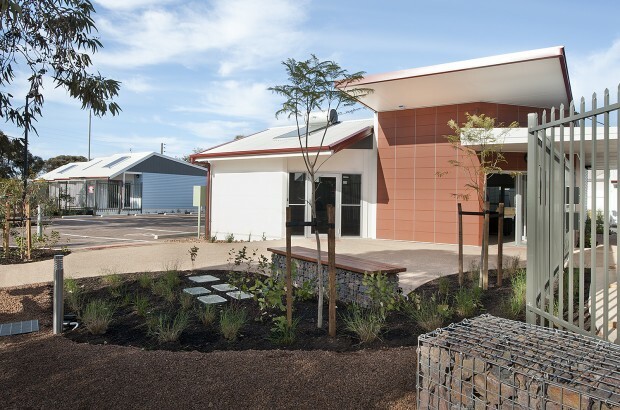 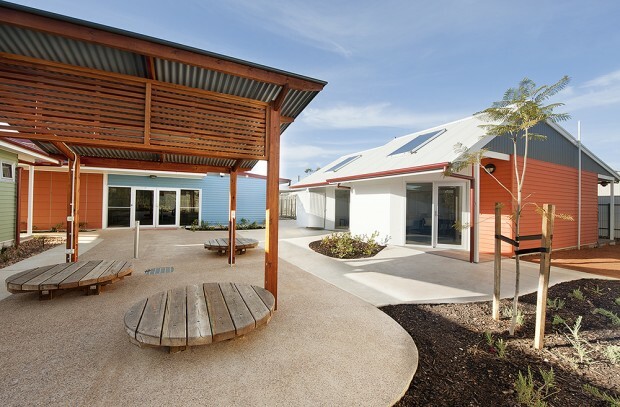 Twenty individual dwelling units and the common facility building were assembled offsite prefabrication near Adelaide, prior to delivery and connection on site. 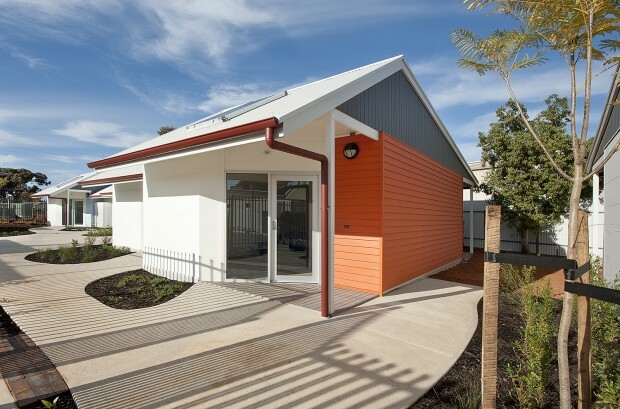 Pre-construction of all buildings allowed the most energy-efficient and affordable solution, creating low maintenance living spaces which are inexpensive to heat and cool, and are positioned for maximum access to sunlight and outlook to garden.